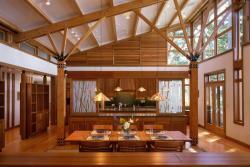 Sound Cedar has been supplying builders worldwide quality timbers for many decades. Our experience with large projects means the experience that you need to make the job run smoothly is only something that you can get from us. Whether you are building a timber frame with structural needs or using timbers for visual appearance, you want the quality to get the job done right the first time. Selecting old growth timbers with tight grain structure means less cracking and a better fit for you. 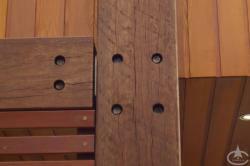 Whether you need 10' timbers or 40' timbers, we aren't limited to traditional size limitations. We can source the best quality materials and have them custom milled to the widths, depths and lengths your project needs. If you need structural data for engineering the project, we can help supply that too. At Sound Cedar, we have been shipping timbers around the world for decades. Our team of experienced building professionals will find the best shipping options and schedule the load to arrive when and where you need it. International shipping requirements can be complex but with our experience we can help you get required shipping documents ready.